Some 200km from the southeastern tip of Papua New Guinea, discovering the Louisiades Archipelago is like stepping into a bygone era. Preserved by remote geographical location, this coral fringed scattering of volcanic islands is home to Melanesian communities, who maintain a subsistence economy and seafaring heritage. For spirited adventurers with the energy to paddle through long days on open water, this sea kayaking expedition promises the ultimate rewards of isolated island existence. From the first stroke, the aim of this epic expedition is to paddle to Panasia, a limestone anomaly on the western reaches of the Calvados island chain within the Louisiade Archipelago. Its towering faces, hidden caves and uninhabited shores set an exotic objective for a frontier sea kayaking adventure. Paddling up to 20km a day, you’ll exploit the prevailing trade winds to navigate a route from east to west through the islands. 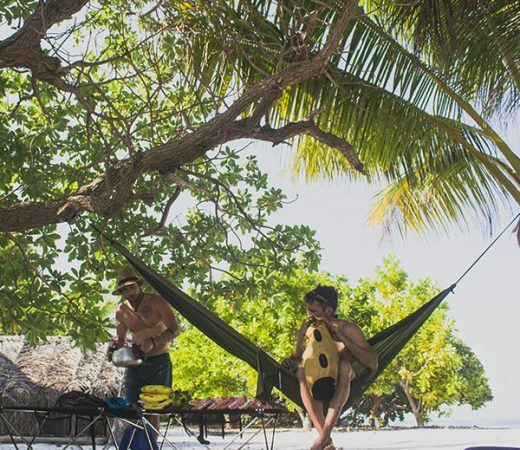 Explore their reef fringes, coves and beaches in between powering across stretches of open water, before establishing camp each night to slumber to the sound of the ocean. 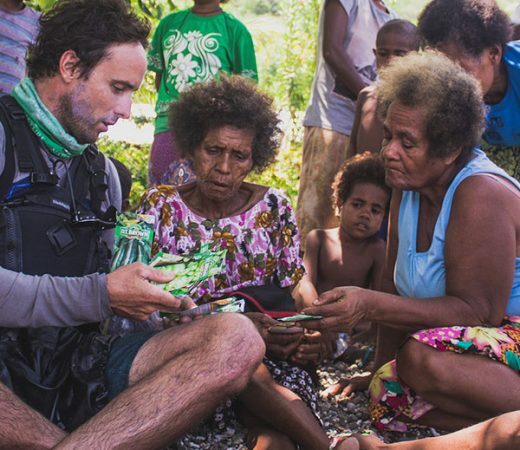 The secondary aim is to connect with indigenous communities on the islands. The Melanesian natives have little access to the outside world, relying on a subsistence lifestyle of fishing and farming. With a conscientious approach, we will exchange goods for food supplies in keeping with their barter economy to support schools, villages and healthcare in the communities. A truly immersive ocean experience, this expedition is your chance to log your own unique voyage. Discover the remote islands of the Louisiades Archipelago. Paddle between islands on two person sea kayaks. Chance encounters with marine and island wildlife. Strung out over 160km between the Solomon and Coral Seas stretches a chain of ten volcanic islands and 90 coral islands collectively known as the Louisiades Archipelago. While photographs present a picture perfect paradise, don’t be fooled, these islands are as wild and rugged as they are beautiful and offer little sanctuary from the beating sun and tropical weather systems which sweep the region. Providing an immersive experience with low impact on the surrounding environment, sea kayaks are the ideal craft to navigate this diverse and thriving ecosystem. Hard shell kayaks can not be transported to this region, so for this adventure your craft will be a state-of-the-art inflatable two-person sea kayak, which is not only easily transportable but tough and easy to paddle too. 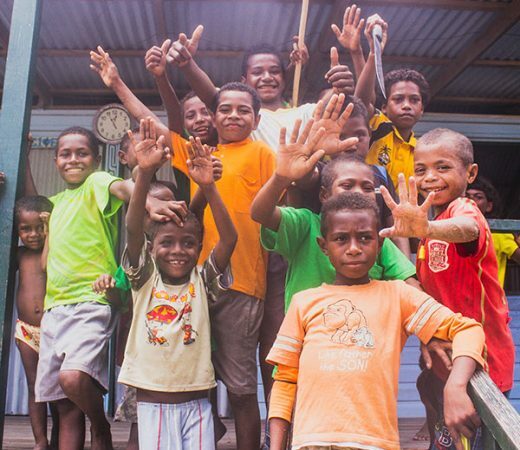 Living in close synchrony with their ocean environment, the Melanesian people of these South Pacific islands are among the friendliest you’ll ever meet. Quick to instigate a meeting, you’ll likely be met with fresh local produce to trade for fishing gear and other hard to acquire supplies. 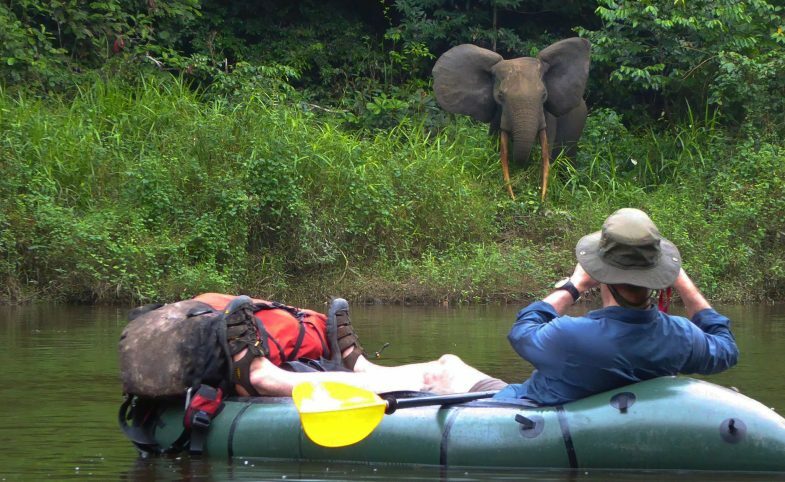 Visitors – especially ones who arrive in brightly coloured inflatable kayaks – are so few and far between you’ll be the subject of much intrigue, especially among children. The reefs fringing the islands of this archipelago are some of the best preserved coral ecosystems left on Earth. Beneath the surface, coral constructs shelving reef systems which support a myriad of life and protect the calmer shoreline waters inside of them. Beyond them, larger species roam the deep blue expanse, including sea turtles, mantas, swordfish and reef sharks to name just a few. Paddling across these open waters, you’ll have the opportunity to trail a line from your kayak to catch supper for yourself and the team. The communities here have a history steeped in trade and as travelling visitors, our journey provides us with opportunity to exchange goods with settlements, villages and schools throughout the islands. This low-impact approach will not only help individual families, but by sharing out our supplies and paying for small souvenirs such as wood carvings and shell jewellery, our visit will offer an alternative income to the lucrative practices of sea cucumber farming and shark finning – activities known to be practiced in the region to support the communities. Secret Compass runs expeditions with framework itineraries, rather than guided tours with set daily plans. 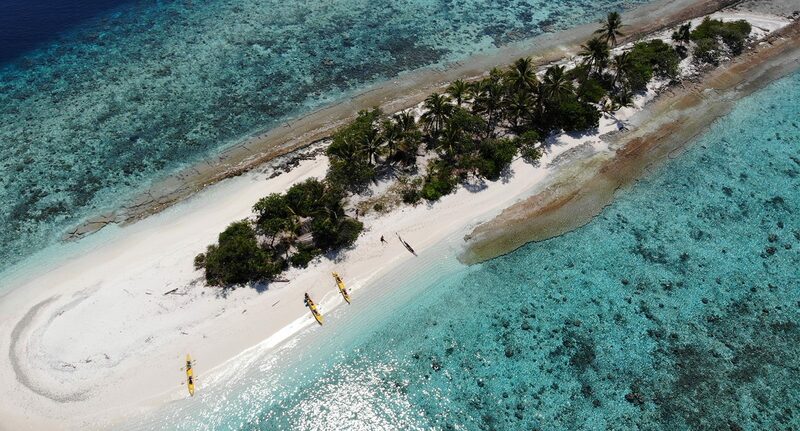 There are over 100 islands in the Louisiades Archipelago, so the day-to-day plan will remain dynamic in accordance with the team’s progress and weather conditions. A fuller itinerary is provided in the Expedition Handbook which is available on request or upon application to join the team. The expedition starts at 1400 on 22 October 2019 at the team guesthouse on Misima Island. Flights are every 2-3 days so we envisage all team members will arrive this morning on the same flight. 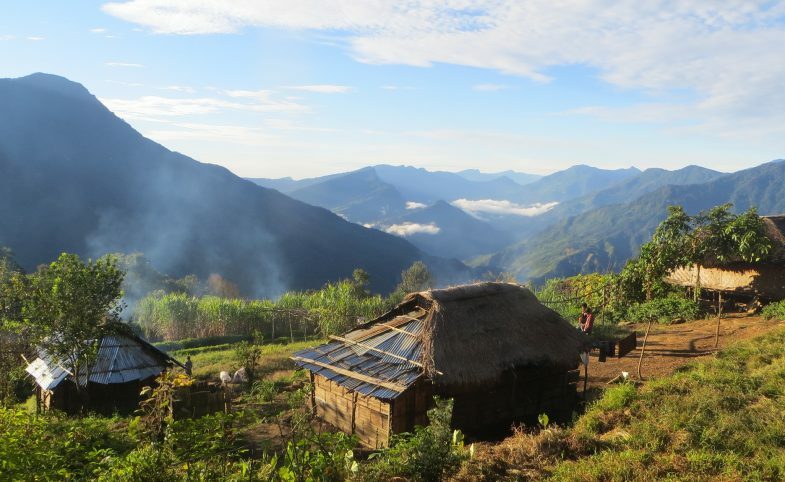 You will be transported as a group from the small airstrip to the guesthouse. After a late lunch and briefing from the expedition leader at 1400, the group will spend the afternoon packing their kit into kayak-friendly dry bags, and exploring the modest main settlement of Bwagaoia. Gathering supplies from the market, the team will prepare for the 2.5 hour motor boat journey to the starting point. Unload all your kit and supplies, before setting up camp and familiarising yourself with your craft by completing a circumnavigation of the first island. For the next 9 days, you’ll paddle west with tradewinds, finding your rhythm and welcoming the slower pace of life on island time. Days will range from 7km – 20km with stops at inhabited islands and good snorkelling spots. 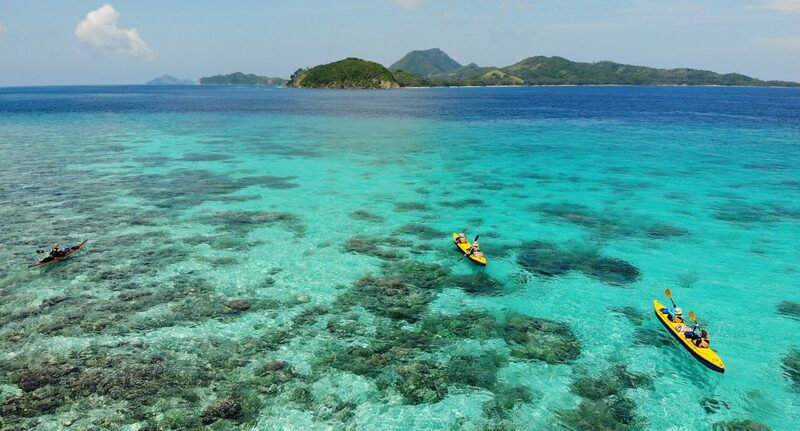 Your final day’s paddle will take you to the sheer-sided Panasia, a lush green, limestone based island. 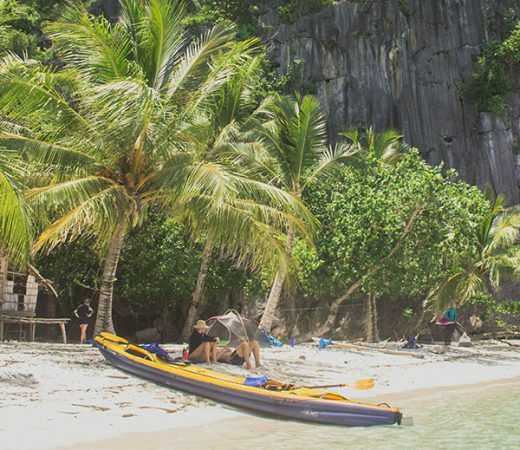 You’ll embark on a final paddle to circumnavigate the island in search of caves hidden deep in the heart of the limestone, before deflating and rolling up your kayaks ahead of the journey back to Misima the following day. 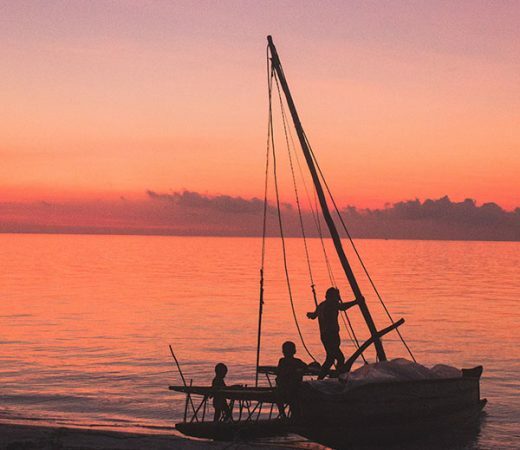 With the sunrise, your sail outrigger will arrive to harness the wind back to Utian, where your motor boats await to take you back to Misima. All that remains is to take a modest but welcomed bucket shower to free yourself of sand and salt, and enjoy a final team meal to celebrate your remarkable journey. You’re free to depart any time on 02 November 2019, and as with arrival, the flight schedules will dictate the whole team is likely to board the same flight from Misima back to Port Moresby on this morning before continuing their onward journey. Secret Compass expeditions are achievable by anyone with a healthy lifestyle and a good level of general fitness. The most challenging element of this expedition to the islands of the Louisiades is likely to be settling into and maintaining a steady paddle rhythm to make up the distance on the longer days to reach your next camp. Professional Secret Compass expedition leader with full communications and medical kits. All transport as from arrival on Misima Island to departure from Misima Island. All specialist and safety equipment (incl. two person kayaks). Trading goods for food and water supplies. Meals, beverages and alcoholic drinks outside the stated itinerary. Any accommodation or transport outside of the Secret Compass itinerary. Souvenirs or items of a personal nature. On application to join this epic expedition to the Louisiades Archipelago, Papua New Guinea, potential teammates will receive a detailed Expedition Handbook. Here are some expedition-specific questions and our general FAQ will answer many other questions. Get in touch if your question remains unanswered. No, you don’t need to have any experience of paddling or sea kayaking but we recommend at least a taster session to find out if you enjoy it. Our guides are fully qualified to instruct you in all the basic paddling strokes and are there to help develop the skills you need, but a rough idea of how your body might react to long days on the water is certainly an advantage. 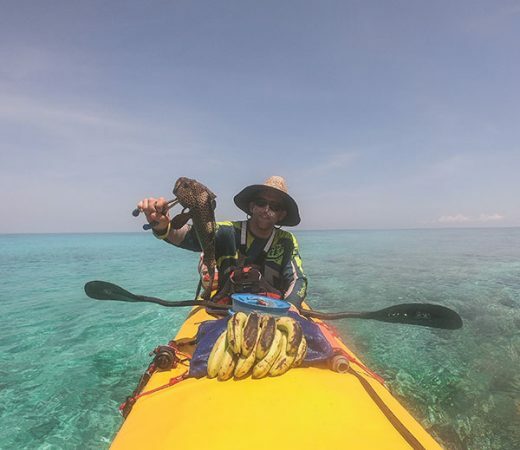 You don’t have to be an athlete to join this sea kayaking expedition; anyone who enjoys some regular exercise can do it. 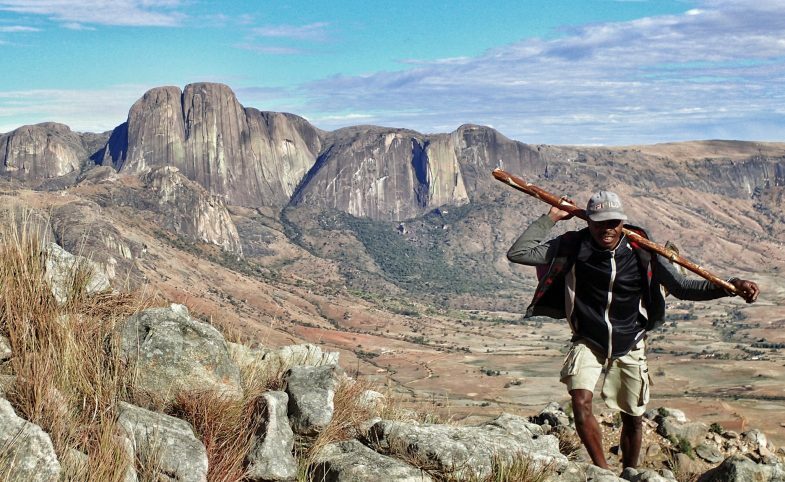 We do however; encourage a reasonable level of fitness, as we find this will add to your enjoyment of the trip and provide opportunities for the team to explore further afield. Yes, each day is spent paddling across open water with plenty of opportunity for snorkelling and swimming close to the islands so confident swimming in deep, open water is absolutely vital. This expedition primarily follows the local diet of seafood and root vegetables however through our use of dehydrated ration packs we can usually cater for dietary requirements – please complete our Application Form detailing any dietary requirements and we’ll be in touch with more information or questions.